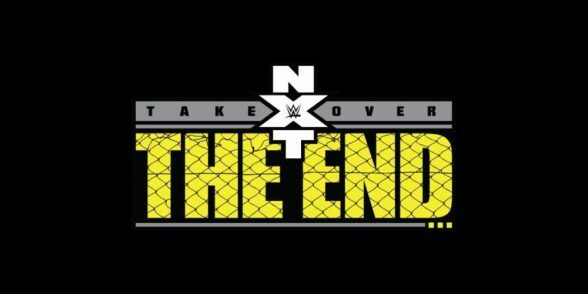 “NXT TakeOver: The End (2016)” review. Previously on NXT…Asuka dethroned Bayley as the Women’s Champion, American Alpha won the Tag Team Championships from the Revival, Shinsuke Nakamura and Austin Aries began their NXT rises while Sami Zayn and Baron Corbin had farewell matches before their transition to the Main Roster and the WWE universe got another exceptional “NXT TakeOver” special. Episode 329 (4/6/2016): The only match on this program was ‘Elias Sampson Vs Apollo Crews‘, which was filmed at the last PPV. It was OK, but a little underwhelming considering that this should’ve showed us the extent of what Sampson can do. I’m not a fan of the guy, but I hate how even Cory Graves- heel commentator extraordinaire- is constantly belittling him. The remainder of the episode was dedicated to recapping “NXT TakeOver: Dallas“, so unless you really like Sampson and/or Crews, you can afford to miss this episode. Episode 330 (4/13/2016): This was a good show that felt important, as it was the NXT TV (if that’s what we’re going to call it?) debuts of Shinsuke Nakamura and Austin Aries. The latter had a solid match, although Nakamura once again stole the show in the main event with Tye Dillinger. I thought their bout was more amusing than exciting, but I liked it. Bayley also returned for a stellar outing and both the Tag Team Champions and Samoa Joe set up matches for next week. Episode 331 (4/20/2016): ‘No Way Jose’ makes his debut and…yes…that is actually what they’re billing him as. I know that with his name, theme song and vignettes, they want the crowds to chant this, but isn’t that a bit too on-the-nose? …and it sounds like they’re rooting against him when they do. I’m sort of mixed on the performer himself, as I”m not fond of these goofball characters, but Jose (I’M NOT CALLING HIM THAT) does at least showcase a lot of personality, so I have an open mind. The matches themselves were all good and I was surprised how dominant Joe was against Apollo Crews. Decent episode, if a little disappointing because of the hype. Episode 332 (4/27/2016): The show opens with Asuka taking on Eva-Marie, which was actually OK, if a bit awkward in places because…This is an Eva-Marie match? My biggest issue is Eva-Marie spent too much time on the offensive, when she should require underhanded tactics just to put up any kind of fight, because Asuka isn’t supposed to be an underdog. She’s supposed to be a beast. While the tense confrontation between Asuka and Nia Jax was interesting enough, it would’ve been more compelling if Asuka hadn’t recently defeated Bayley, who had recently conquered Nia Jax to the point of the latter not being cleared for a battle royale the following week. Apparently Samoa Joe won the NXT Championship at a house show and I’m not entirely sure how I feel about that. Wasn’t Balor supposed to be the longest reigning champion? Isn’t a non-televised event title change an anti-climactic end for his reign? Did Alexa Bliss break up with Blake and Murphy? The commentators imply she might’ve, but it’s vague and her absence was distracting for the crowd. On a similar topic, Carmella’s opening speech doesn’t sound quite as good without Enzo and Cass. She has enough of a personality to survive on her own, but it might be wise to to cut out the ‘how you doin?’ spiel. But quite frankly, none of the matches really excited me and the only parts which stood out to me were the flaws. Not a very good episode. Episode 333 (5/4/2016): This was a solid episode, featuring consistently stellar matches, back-stage interview segments and promos- although little stood out as especially memorable. Eric Young made his debut and while I liked his personality, it seemed like his debut match against Samoa Joe was mostly a one-sided beatdown in Joe’s favor. Granted, it was still pretty engaging, but it’s an odd way to introduce someone. Episode 334 (5/11/2016): Elias Sampson…actually got kind of interesting, drawing intense heat when he interrupted Balor’s promo. I thought the song worked and Balor’s vengeance was cathartic. American Alpha had a very entertaining squash match, although some of their opposing teams’ bumps looked rough. Shinsuke Nakamura squashed Alex Riley (in his last match with the company) and Alexa Bliss squashed…somebody…The Main Event (Finn Balor Vs Elias Sampson) was just kind of average and Balor seemed incredibly dominant, but the post-match confrontation with Joe was intense. It seemed like this show was all about one-sided beatdowns, which isn’t especially entertaining to me, but the episode did its job. Episode 335 (5//18/2016): Austin Aries chooses Shinsuke Nakamura to be his Tag Team partner when going against Blake and Murphy (and I loved their reactions to this) and they promptly squashed the ambiguously gay duo- leading to Blake, Murphy and Bliss formally breaking up (and I did not love this, as they worked so well together). They’re trying to flesh out Peyton Royce and No Way Jose (ugh), but in the case of the latter, he’s reminding me too much of the New Day when everyone legitimately hated them. ‘The Power of Positivity’ only works as a wrestling angle when done ironically. Episode 336 (5/25/2016): TM-61 makes their debut against Gargano and Ciampa, crafting a good match in the process. Austin Aries starts fleshing out his character and I was intrigued, which turned into excitement when they set up his match against Nakamura at the next TakeOver. The Main Event was ‘Nia Jax Vs Alexa Bliss Vs Carmella‘ to determine who the #1 contender for the Women’s Championship would be and it was a satisfying match which highlighted everyones strengths, while also covering up their weaknesses. This was a good show. Episode 337 (6/1/2016): The introductory confrontation between the Revival and Ciampa/Gargano amused me, as it drew attention to how similar the teams look. They set up a match, but I sort of feel it’s a bit too early to feed Ciampa/Gargano to the #1 contenders. Murphy reveals his real name is Buddy…not very threatening, but he loses anyway, so little has changed for him. The backstage interview with both Joe and Balor was interesting because their animosity felt very real, successfully pumping me up for their upcoming bout- even though we’ve seen it way too many times. The match between Austin Aries and Elias Sampson was good, but the crowd seemed indifferent and the main event (Ciampa/Gargano Vs Revival) was solid- with a genuinely surprising finish. The Women’s Championship contract signing was interesting, if a bit too short to leave a major impact. This was a good episode of NXT. Tye Dillinger Vs Andrade ‘Cien’ Almas – There isn’t any story here, as Tye just wanted to be given an opportunity and Regal granted his request by feeding him to…erm, sorry…by putting him in a match against the debuting Almas. Despite the predictability and lack of drama, this was a short, fun, explosive little match that made both men look good. The crowd was initially against Almas, but while Tye was the fan favorite, the athleticism, charisma, skill and unique moveset of Almas won their respect by the end. It was nice seeing Tye in a competitive bout where he could show off his own abilities, as he usually just gets pwned. TAG TEAM CHAMPIONSHIPS: America Alpha Vs The Revival– I’ve enjoyed this feud, which I feel elevated the Revival into becoming much more interesting characters than they were when they carried the belts. The buildup was simplistic, but effective and I was eager to see the rematch…although having the #1 contenders lose the week prior to another team was a strange booking decision. The match was once again pretty f@cking awesome, working for the same reasons their previous bout did. I liked how when the villains used teamwork, it seemed underhanded and violent, making you hate their admittedly effective tactics. But when the heroes used teamwork, it was triumphant and stylish, making you want to cheer even harder. There were some crazy spots and convincing false finishes, with the conclusion being genuinely surprising (to me). These teams have great chemistry together and once again, provided an excellent match. After their defeat, American Alpha gets jumped by a new team of giants, making me wonder if Jordan and Gable are exiting the Tag Team Championship scene (for now)…and that makes me sad…I’m presuming Gargano and Ciampa are next in line for a shot? Austin Aries Vs Shinsuke Nakamura– This was an intriguing pairing that makes sense on a storytelling level, although I find myself wondering if it’s too early to pit them together. We shall have to see! Despite Nakamura being the fan favorite, Aries also got a lot of love from the crowd, which is nice. His grand entrance wasn’t quite as spectacular as the debut of the King of Strong Style and it took awhile for him to flesh out his character, but he has grown on me. This match was also really good, but I was taken aback by the methodical pacing- completely contrasting Nakamura’s previous “TakeOver” match with Zayn. Nevertheless, they told a compelling story in the ring and it was interesting seeing both men start becoming more underhanded as time moved along- emphasizing their desperation. There were a lot of stiff shots and it really felt like they were trying to hurt each-other. The selling and use of psychology was spot on, so I felt satisfaction by the time it came to an end. They even manage to fit in some really devastating looking spots, without relying too much on them. WOMEN’S CHAMPIONSHIP: Asuka Vs Nia Jax– This was probably my least favorite feud going in, even though I didn’t take any issues with their various interactions. But while Nia Jax is physically imposing and presented as a dangerous player, she already lost to Bayley and apparently was so badly injured that she had to skip the subsequent #1 Contender Battle Royal (in contrast to her own claims that she broke the former Women’s Champion)…and then Bayley went on to lose to Asuka. So how is Jax a threat? She’s been playing second fiddle to Eva Marie, who also lost to the Champ. Nevertheless, while the ending was anti-climactic, I thought this was a good bout. The pacing was even, if a bit slow and I liked a lot of the psychology. In many ways, this reminded me of ‘Nia Jax Vs Bayley‘, but there was enough new content to make this enjoyable. NXT CHAMPIONSHIP: Samoa Joe Vs Finn Balor– I still find it bizarre that the reign of Balor ended at a damn house show, but I have to admit that NXT has kept this feud continuously engaging. I’m usually impatient and get tired of lengthy stories, where we see the same matchups over and over again, but the quality of their bouts has only escalated and the stakes keep raising. The first ever NXT Cage Match? SWEET! By this point, I was beginning to feel a little burned out, as the majority of the show had been fairly high octane and this might’ve reduced my enthusiasm for the match- which was still very good. The psychology was on point, the pacing was steady and the cage was used efficiently, even providing some brutal spots. I had no complaints about the bout, but maybe you should watch it separately from the rest. Overall: “NXT TakeOver: The End” delivered quality matches, but perhaps was a little too intense for its own good, as I began drifting off during the Main Event. With that said, I’m not entirely sure why this happened, as the ‘NXT Championship’ match was excellent and even the more methodical bouts were very compelling. Maybe my sleepiness had nothing to do with the show and just decided to harass me in the middle of the program. Yet I still thought this was a strong “NXT TakeOver” special and I almost wish they would deliver something terrible, because these enthusiastic summations have gotten very difficult to write! WWE “NXT TakeOver: Brooklyn II” review. WWE “NXT TakeOver: Brooklyn (2015)” review. “NXT TakeOver: Respect (2015)” review.